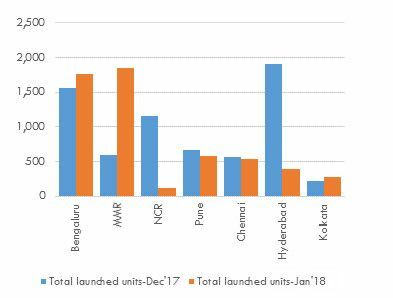 The last month of 2017 added around 6,600 new units across the top 7 cities of India while in January 2018, only 5,500 units were launched – amounting to a 17% decline in launches. New launches in many cities, including the National Capital Region (NCR) and Hyderabad, were more sluggish in January 2018 than in December 2017. 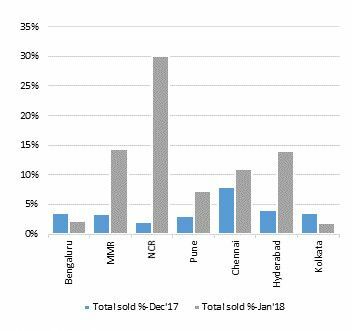 Only Bengaluru and Mumbai Metropolitan Region (MMR) witnessed a marginal rise in new launch supply. The restricted new supply addition was primarily due to developers’ focus on project execution and clearing existing unsold inventory. Although new launches declined in the first month of 2018 when compared to the previous month, new launch absorption was on the rise. The new launch absorption of homes across the top 7 Indian cities doubled from 250 units in December 2017 to 500 units in January 2018. India’s economic fundamentals are gaining strength as the momentum of the incumbent Government’s statutory reforms continues. 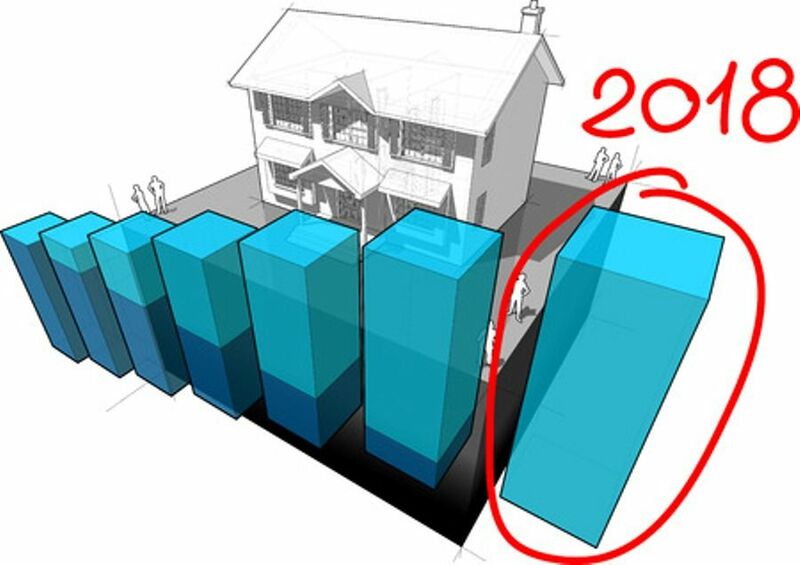 The nation’s residential real estate industry is also aligning itself with prospects of strong long-term growth. The sector is expected to stabilize with lower interest rates, rising absorption levels and decreasing unsold stock. To achieve this, developers across the metropolises are restricting the new launches and trying to offer the most competitive rates to offload their existing inventory. All in all, 2018 is a good year for end-users to make their move. Investors will have to wait a while longer before they have reason to become bullish on the Indian residential sector again. The ratio of end-users vs. investors in the Indian residential sector is currently 70 : 30.